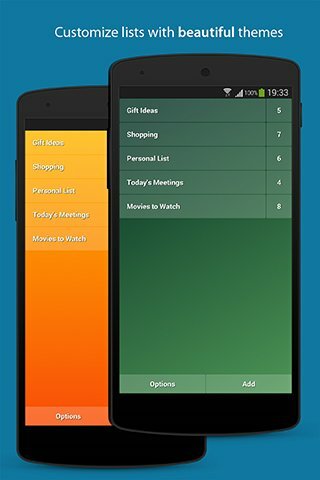 Just search for purelist on google play. It is fast, easy to use and delivers all the functionality you need without distracting you with anything beyond that. No more clutter. Just the information you need. Quick, easy, convenient. - Set reminders to make sure you never forget important tasks. - Enjoy a clear and intuitive design. - Customize your lists with beautiful themes. - Tablet and desktop versions with instant sync. Premium purchase allows you to get rid of ads forever. 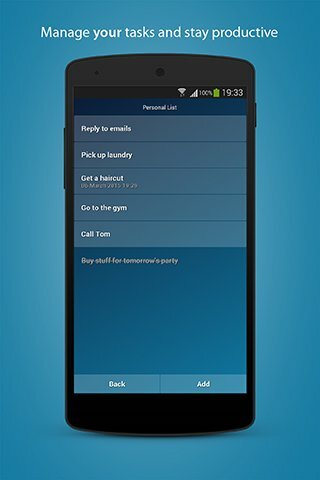 Try Pure List now, and you just won't want to go back to other task managers.